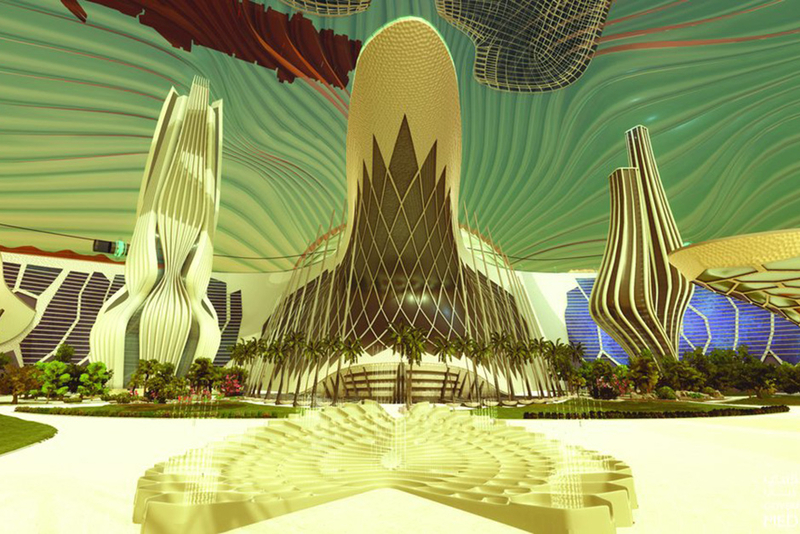 Dubai: The UAE will build the first city on Mars as part of the 2117 Mars project in collaboration with specialised international organisations and scientific institutes. The Mars 2117 Project was announced by His Highness Shaikh Mohammad Bin Rashid Al Maktoum, Vice-President and Prime Minister of the UAE and Ruler of Dubai, and His Highness Shaikh Mohammad Bin Zayed Al Nahyan, Abu Dhabi Crown Prince and Deputy Supreme Commander of the UAE Armed Forces. As part of a 100-year national programme, the UAE will set a plan to prepare national cadres that can achieve scientific breakthroughs to facilitate the transport of people to the Red Planet over the next decades. The 100-year plan will involve scientific research programmes to nurture national cadres specialised in space sciences at universities in the UAE. It will also entrench a passion for space in younger generations. The announcement was made on the sidelines of the World Government Summit in the presence of representatives of 138 governments, six major international organisations, as well as leading international tech companies. The new project will be associated with research themes featuring the exploration of transportation means, energy and food on mars. It will also try to find faster transportation methods for travelling to and from Mars. 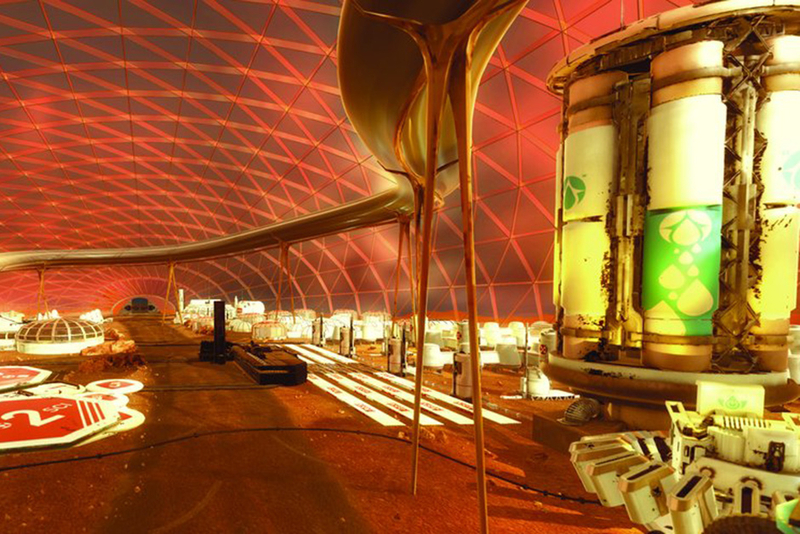 A virtual presentation depicting a preliminary concept for the city on Mars was made during the announcement. The scientific initiative will first be implemented by an Emirati scientific team, and will eventually expand to include international scientists and researchers that will run in parallel with the coordination of human research efforts in the field of exploring and inhabiting Mars. “The landing of people on other planets has been a longtime dream for humans. Our aim is that the UAE will spearhead international efforts to make this dream a reality,” said Shaikh Mohammad Bin Rashid. He emphasised that the project prioritises the building of scientific capacities of Emiratis, and transforming our universities into research centres, thus consolidating the passion of leadership in our generations to come. Shaikh Mohammad Bin Rashid said that the UAE is ranked among the most important nine countries in the world that invest in space science, and our goal is to accelerate human researches in this field. “Human ambitions have no limits, and whoever looks into the scientific breakthroughs in the current century believes that human abilities can realise the most important human dream,” he added. “The new project is a seed that we are planting today, and we expect the next generations to reap its fruits,” Shaikh Mohammad Bin Rashid said. Shaikh Mohammad Bin Zayed said that the short-term goal is to develop the capacities and skills of Emiratis. “The 2117 Mars initiative is a long-term project, which will first help develop our education, universities and research centres that will empower young Emiratis to enter all disciplines of scientific research fields,” said Shaikh Mohammad Bin Zayed. “The findings of the project will be available to all international research institutes,” he said, and added that the research outcomes will contribute to aspects of transportation, energy and food as part of the Mars project to achieve scientific breakthroughs that contribute to developing human life on Earth. “The UAE has become part of dynamic human scientific efforts to explore space and making scientific contributions to human knowledge,” Shaikh Mohammad Bin Zayed said. “With the launch of this project, we begin a new journey that will last for decades to come, and it will speed up human endeavors to explore other planets,” he added. Earlier, an Emirati team of engineers, along with a group of scientists and researchers, have set a concept for the first human city on mars that will be built by robots. 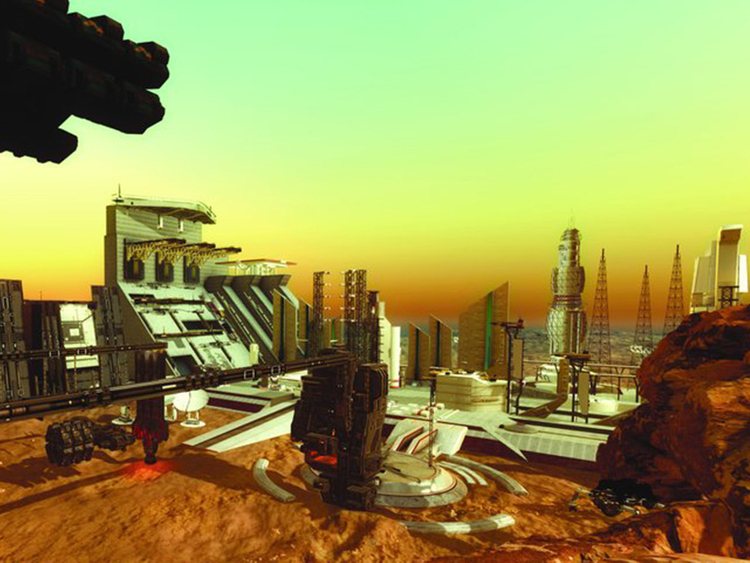 The plan showcased during the summit highlighted the expected lifestyle on Mars in terms of transport, power production and providing food, as well as infrastructure works and materials used for the construction of the city. In 2015, the UAE announced its Mars Probe mission, which will send the Arab world’s first spacecraft to the Red Planet in a scientific exploration mission that will land on planet in 2021.